Supermicro servers are best known for its cost-competent performance. Majorly, they lessen the amount of energy used, deduce the power consumption and lower your direct costs. Overall Supermicro servers are an environment’s best friend. 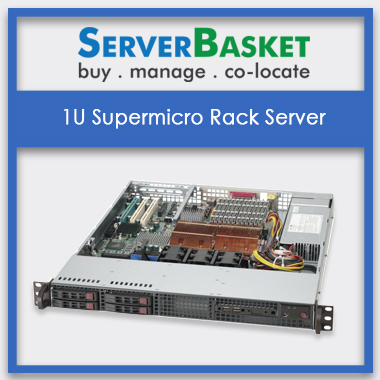 Buy Supermicro rack servers online from Server Basket for lowest prices. They come with the best configurations and a lot of advantages saving up a lot of money. Avail extra benefits by ordering today, don’t miss the offer. Order right away! 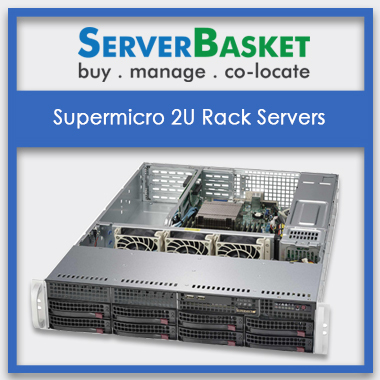 Customizable Supermicro rack servers are available with us. Supermicro server delivers superior performance by taking the lesser energy resources and opting for Supermicro servers can reduce the cost of ownership. Compared to other server brands Supermicro servers have a lower TCO. These servers last longer and cut down your energy expenses. Get the powerful Supermicro server for the lowest price compared to other online stores and we include all the custom feature requirements that you ask for. A lot of advantages are residing on the side of Supermicro rack servers for its purchase. One would be the energy and power consumption- Supermicro Rack Server uses minimum power for max performance; and secondly, high-quality performance. Supermicro servers are an ideal solution for front-end server applications, enterprise databases, and supercomputer groups, etc. These servers are engineered to maximize the resource optimization and increase the energy efficiency and reliability. The Supermicro servers which are available with us, are tested and verified with the most intensive testing strategies for ensuring the highest quality ideal solution to meet your business application needs. Supermicro servers are easy to upgrade in the availability of any IT environmental situation, and you can customize the server according to the business need. Supermicro servers are the best-in-class servers in terms of high-quality performance, power consumption and resource utilization. 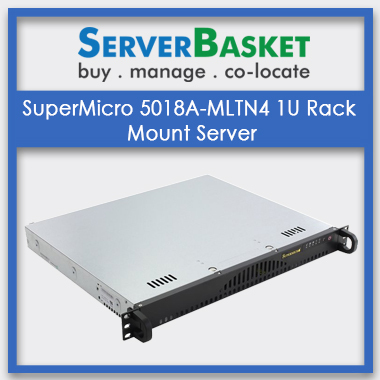 We at Server Basket provide Supermicro servers for the lowest prices. This is indeed the best chance to take away the powerful servers within a limited budget. Don’t miss the offer, as the offer may vary from time-to-time. We offer instant shipping option usually and in case of any emergencies. We drop the ordered server at your doorstep without charging any additional charges. The servers are packed with multiple layers to prevent damages during the delivery process. We normally take less than 2-3 business days to drop the server right at your doorstep, to the requested location. Server Basket offers the best in-house support. We have a lot of satisfied customers who are happy with our services. For any technical issue that rises in the near future or at any time during the process of usage of the server, immediately contact us and we will try to resolve the issue as soon as possible. We provide 3 years seller warranty on the Supermicro servers. When you face any problem, you can acknowledge us about the warranty and avail the services for any failure of parts, repair services, etc. Also, do let us know about the expiry of the warranty so that we can provide some alternative service benefits.